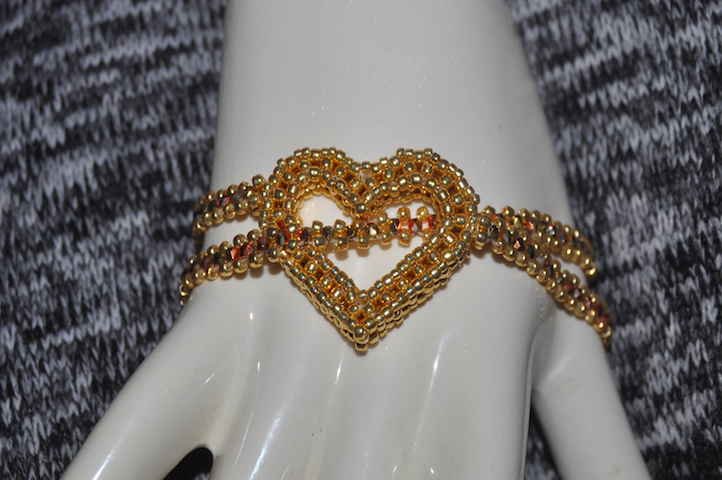 A couple of weeks ago Helena Tang-Lim graciously shared a free pattern, called Wrap Around My Heart, on Marcia DeCoster’s Bead Love blog. I thought it was beautiful and had to make one. This is my variation. 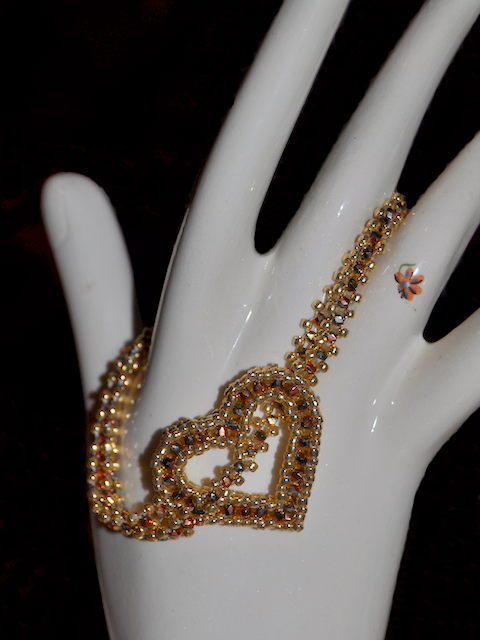 Helena’s pattern calls for 3mm fire polish beads. As frequently happens when I decide to work a pattern, I didn’t have enough and had to substitute something else. 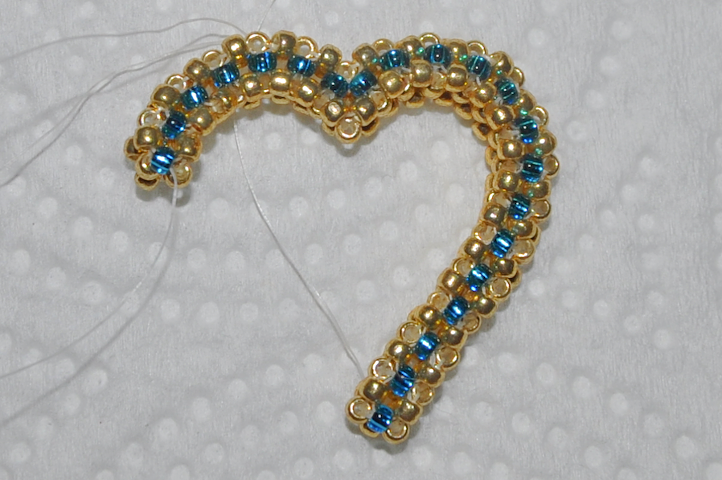 I did have lots of 2mm and got carried away with them – I even added them to one side of the heart. I attached the strap a little differently to make it reversible. I liked it so much that I started another heart. Maybe a pendant this time.